Tag Archive | "GI Bill"
The original name for the G.I. Bill of Rights was the “Serviceman’s Readjustment Act of 1944.” The original Act focused heavily on two supportive benefits: financial assistance for tuition and mortgages. Today’s G.I. Bill has continued to develop into a comprehensive transitional assistance program that takes into account both the needs of transitioning military and also the needs of their loved ones, including spouses and dependents. The G.I. Bill began to evolve in earnest after 9/11, when educational benefits, including military scholarships, were expanded yet again and additional benefits were also added. While there are many benefits included for eligible personnel under the G.I. Bill, some research and advance planning is often required to make the most of those benefits. There are actually several versions of the G.I. Bill that are active today, the best known and significant of which are often regarded as the original G.I. Bill, the Montgomery G.I. Bill and the Post-9/11 G.I. Bill. Visiting the Department of Veteran’s Affairs (VA) website can help you identify which version of the G.I. Bill applies to your status. The most significant change to the G.I. Bill that occurred post-9/11 is in the area of educational benefits for veterans. The change is so significant that the official name for the revised bill is the “Post-9/11 Veterans Educational Improvements Act of 2010.” These expanded educational benefits apply to all active duty service personnel or veterans who were serving on or after September 11, 2001. At present, the basic minimum criteria you must meet in order to qualify for benefits under the G.I. Bill include these. 90 days of active duty. Eligible service personnel must show proof of engaging in active duty (in war or peacetime, in combat or in other capacities) for 90 days to qualify. Honorable discharge. Eligible service personnel must show proof of honorable discharge to qualify. The basic benefits all versions of the G.I. Bill offered to military service personnel and/or eligible veterans include these. Education/training and tuition assistance. Education and training can include higher education at the college level as well as applicable vocational training assistance. Mortgage assistance. Mortgage assistance offers eligible personnel and veterans the ability to receive special mortgage rates. Unemployment and career search/job placement assistance. The VOW (Veterans Opportunity to Work) and Hire Our Heroes (HOH) Acts of 2011 required additional unemployment compensation and career search/job placement benefits under the G.I. Bill. Benefits for spouses and dependents. Eligible spouses and dependents can also access a variety of benefits under various versions of the G.I. Bill. One of the most important benefit components of the revised G.I. Bill includes your right to transfer your benefits under the G.I. Bill to immediate family members. These are the criteria you must meet to qualify. Order the transfer to an eligible family member. Eligible family members include spouses and one or more dependents or some combination of both. Six years of prior service plus re-enlistment for four more years of service. In order for the transfer to be valid, you must have already completed six prior years of service and be willing to re-enlist for four additional years of duty. Already have 10 years of service completed. If you have already completed 10 years of service, you may transfer your benefits without re-enlisting for four additional years. Retirement dates affect your obligations. Depending on your set retirement date (if applicable) the requirement to serve an additional length of time may be waived or reduced. The military recommends that any active duty or transitioning service personnel begin planning to access G.I. Bill benefits up to 24 months before they will be needed. This incorporates plenty of time for preparation, planning, application and receipt of benefits. Proper pre-planning becomes especially important when tuition assistance benefits under the G.I. Bill. By gaining a complete understanding of the full range of benefits you can receive under the G.I. Bill, you will find that the transition back to civilian life is easier and more affordable for you and your loved ones. There have been a lot of changes to the financial aid programs from the United States Military since their start 60 years ago and especially in the past 10-15 years. The GI Bill is intended to assist those who have served in our military with their higher education costs. 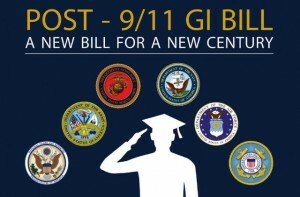 The GI Bill has been modified and now referred to as the “Post 9/11 GI Bill” and summarized on the government’s website. In addition to the GI Bill, there is also a newer service called the Yellow Ribbon Program which aims to serve our veterans post 9/11. The requirements and benefits are determined by a number of factors including length of military service, state that the individual resides in, as well as the school that the student chooses to attend. Individuals discharged with a service-connected disability after 30 days. 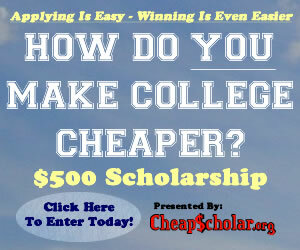 For more expensive tuition, a program exists which may help to reimburse the difference. This program is called the “Yellow Ribbon Program“. For those attending foreign schools (schools without a main campus in the U.S.) the BAH rate is fixed at $1,347.00 for 2011 and $1,348.00 for 2010. 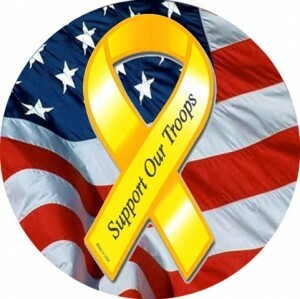 The Yellow Ribbon Program is an enhancement of the Post-9/11 Veterans Educational Assistance Act of 2008. Institutions of higher education can enter into an agreement with Veterans Affairs to fund tuition expenses that exceed the highest public in-state undergraduate tuition rate. If a veteran is matriculating at a private institution, graduate school, or going to school out-of-state, they may accrue extra tuition and fees that exceed the amount of the Post 9/11 GI Bill. If a veteran is enrolled at a Yellow Ribbon participating institution and the tuition and fees exceed the highest public in-state undergraduate tuition or fees, additional funds may be available for the education program without an additional charge. It is encouraged to check out the websites mentioned in this post for the full amount of information, as well as double checking the list of schools currently associated with the Yellow Ribbon Program. The Department of Veteran Affairs has been very busy processing requests from military personnel across the country looking to receive reimbursement or payment for college tuition. With implementation of the Yellow Ribbon program, the VA office has had a difficult time keeping up with demand but they are starting to see light at the end of the tunnel and it appears that they may be better prepared for the upcoming fall semester than they were this time last year. The courses that are taken in the study abroad program must carry credit hours that will apply to their area of study. Programs where the “host school” is internationally based must be approved prior to the benefit being available. Lastly, the VA can not pay any benefits for study abroad unless the student is REQUIRED to study abroad as part of their program (this one is probably going to be the stopping block for many). (1)The student pays tuition and fees to it’s home institution as though they were a student on the campus and the school arranges (financially) for the student to participate in a study abroad program. These type of arrangements usually come in the form of direct exchanges (a student from the foreign school comes to the domestic campus and the domestic student studies at the foreign campus. No money exchanges hands – just the students). VA could not pay for any fees specifically due to participation in the study abroad program unless study abroad was mandatory for the specific degree. (2) The student’s home institution charges a special study abroad fee along with tuition and fees to the student. VA could pay the tuition and fees, up to the national average in-state maximum tuition and fee charges (Room and board charges cannot be included in tuition costs). Fees the VA can pay are fees students that regularly attend the institution must pay—not fees specific to study abroad students. (3) The student enrolls directly into an International School. VA could pay the tuition and fees, up to the national average in-state maximum tuition and fee charges (Room and board charges cannot be included in tuition costs). Fees that the VA can pay are fees students that regularly attend the institution must pay—not fees specific to study abroad students. Hope this information is helpful for GI Bill recipients. If you need further assistance or want to apply for educational benefits, you can contact the VA’s education sector via phone at 888-442-4551 or you can visit them on the web. The armed services recognizes that many young people have sacrificed their lives in the line of duty for the past 9 years and that a good number of these men and women have left behind children that will be needing a resource to help them make their way through college (from a financial aspect). As a commitment to help these future scholars, the U.S. Department of Veteran’s Affairs recently rolled out an educational scholarship, similar to the Post 9/11 GI Bill, to provide funding for their educational endeavors. The Fry Scholarship is named for Marine Gunnery Sergeant John David Fry who was 28 years of age when he died while trying to diffuse an explosive in Iraq back in 2006. He left behind three young children. Eligible children will be able to receive up to the highest in-state public undergraduate tuition and fees, plus a monthly stipend for living allowances and book fees. The Department of Veteran Affairs began accepting applications on May 1st, 2010 and estimate that nearly 1500 children will make use of the benefit this year alone. Children of an active duty member of the Armed Forces who died in the line of duty after September 10, 2001, are eligible for this benefit. A child may be married or over 23 and still be eligible. If the child is eligible under the Montgomery GI Bill Active Duty, Montgomery GI Bill Selected Reserve, and/or the Reserve Educational Assistance Program, then he or she must relinquish eligibility under one of those programs to receive benefits under Post-9/11 GI Bill. A child’s character of discharge from his or her own service does not impact eligibility resulting from the line of duty death of a parent. 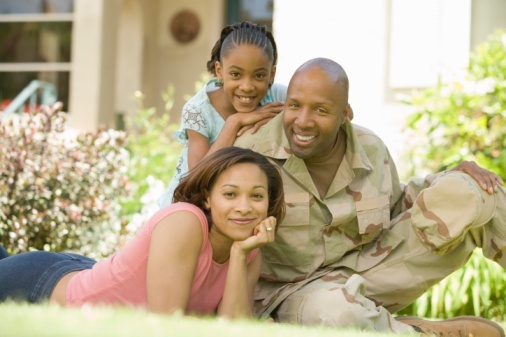 A child on active duty will receive benefits at the active duty benefit rate (eligible for full tuition and fees but not eligible for monthly housing allowance or books and supplies stipend). A child on active duty who meets the service requirements to transfer entitlement under the Post-9/11 GI Bill may be eligible to transfer up to 36 months of Fry Scholarship entitlement to his or her dependents.